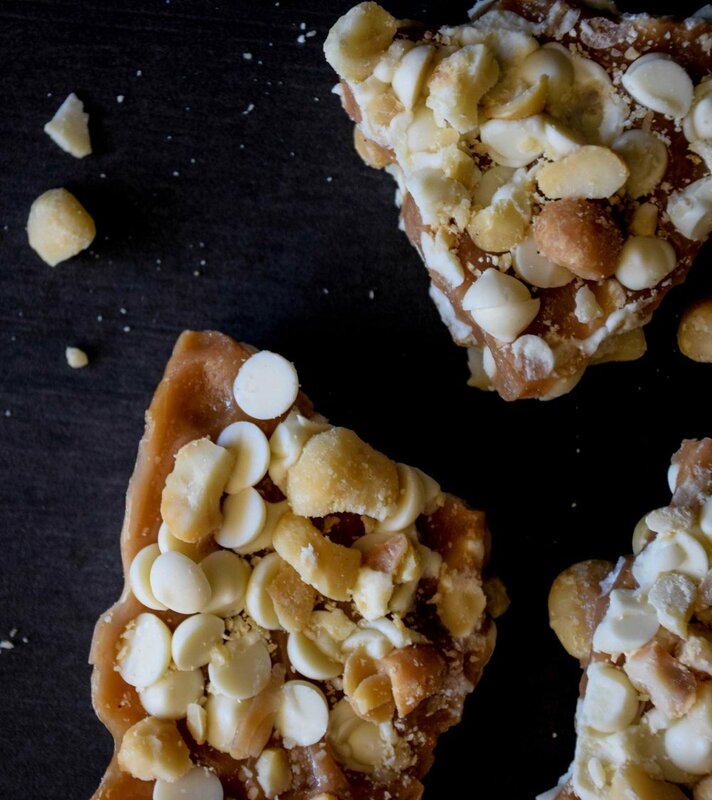 White Chocolate & Macadamia: Chop up this mouthwatering favorite and add to your scone or cookie recipe. This melted decadence is a party in your mouth. 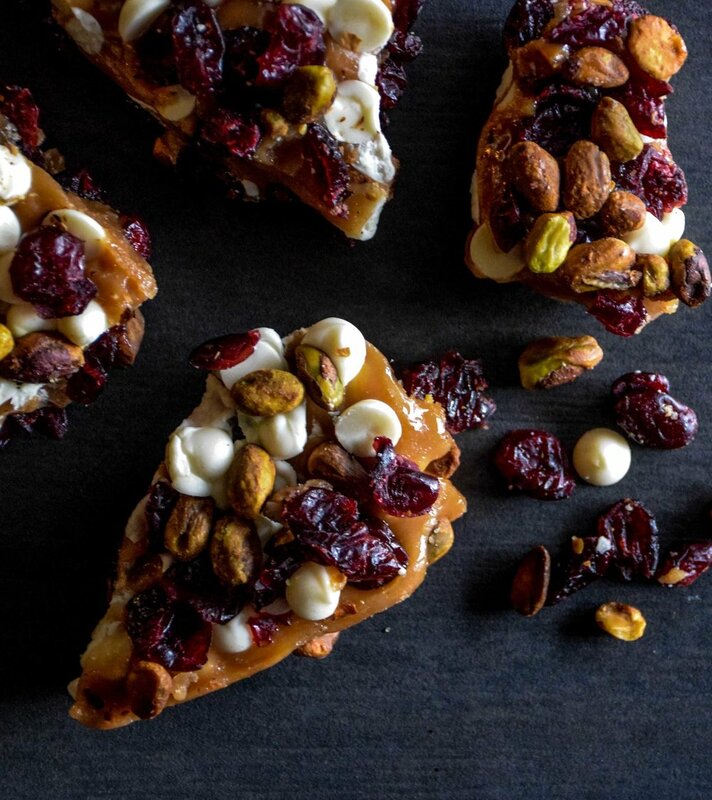 White Chocolate, Cranberry & Pistachio: Need a quick appetizer? Crumble this toffee and roll your goat cheese in it or put on top of brie with balsamic vinegar and put it in the microwave for one minute. Serve with your favorite crackers. White Chocolate, Wasabi & Espresso: Does your pork need a little spice and sweetness with a caffeine kick? Roll your pork in this savory and sweet toffee and cook as directed for an unexpected taste.